Both exterior and interior trim are structural features that add eye appeal, value, and a sense of contentment to residential and commercial property owners. 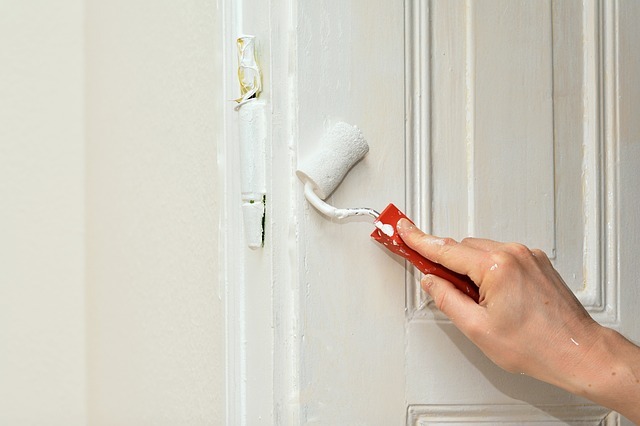 The painter from Templeton CA, George Borlodan has released a guide to help property owners get the most value from door and trim finishes. Stained trim can usually be painted over. If the decision to stain the trim and doors winds up in disappointment, a couple of coats of paint can solve the problem. Yes. There is an extra expense to paint over stained trim, but in the long run, it is the results that count. Before investing in staining all of the trim, do a small section and live with the results for a couple of days. Paint has to be stripped away in order to apply a stain. If the wood is a high quality, beautiful wood that was painted for some reason, the effort of stripping off the paint might be well worth it. A consultation with Borlodan, the Templeton painter, is going to come up with the best options in terms of both attractiveness and cost. Paneling and wallpaper can be painted. Some people don’t care about wood paneling or wallpaper. Both of these can be removed, but it may be less expensive to just paint them. The color scheme can help decide. A light, bright color scheme might not blend well with stained trim, especially if the stain is a dark. Conversely, a darker color scheme isn’t going to blend well with lightly stained wood trim either. Spending some time with the painter, reviewing color schemes and stain options is going to help come to the best decision. Painting and staining can be an expensive process, but the right finishes are an investment in the value of the property, as well as in the resident’s contentment. Consider the type and quality of the material. What is the trim made of? Wood? What quality of wood? Staining and finishing high-quality wood is going to be more of an investment than working with lower quality wood. Some wood is just better for painting. Other types of material can also be used as trim to accent trim and doors. Metal, for example, is sometimes used for dramatic accents on doors and around doorways and windows. Painting, or applying other kinds of finishes to metal is another area where a skilled and creative painter is important. The Templeton painters from Borlodan Painting have experimented with and studied different products to discover which ones deliver the best results for trim and doors. The company’s tried-and-true procedure leads to a smooth, perfect finish every time and the fine detail work on doors, windows, trim and shutters is second to none.